Do you ever wonder how certain things came to be? For example, why did someone decide one day that an unripened, hard, green tomato would taste good sliced, battered and fried? Who would have thought of that? 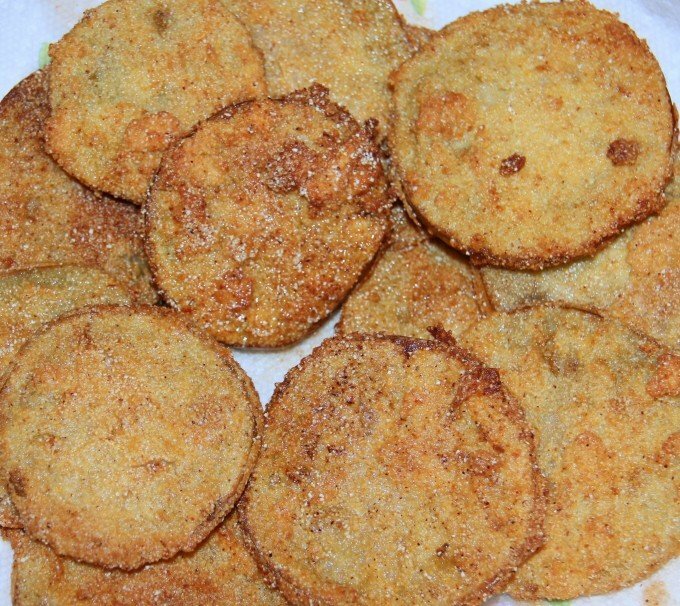 Regardless of how they arrived on the culinary scene, fried green tomatoes have become standard fare in restaurants and many home kitchens, not just in the South but all over the country. Chefs experiment with batter and sauces and serve them with everything from rémoulade to plain old cocktail sauce. I became a fan of fried green tomatoes as an adult. As a child, this was not a dish that was served at my house. Tomatoes were meant to ripen on the vine and be eaten either as part of a sandwich or just sliced raw as part of the meal, or canned in jars to use throughout the winter. Nowadays though, when you want a special appetizer, fried green tomatoes seem like just the right choice. Easy to prepare and quick to cook, you can have these ready in about fifteen minutes. 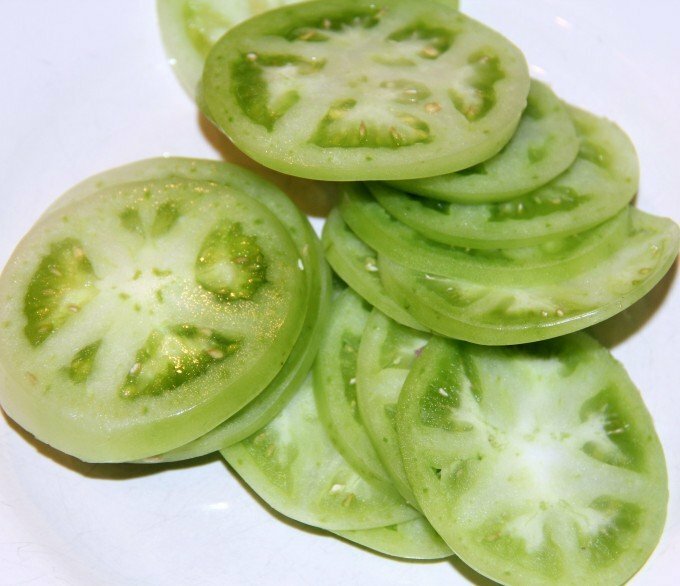 Take a couple of green tomatoes and slice thin. 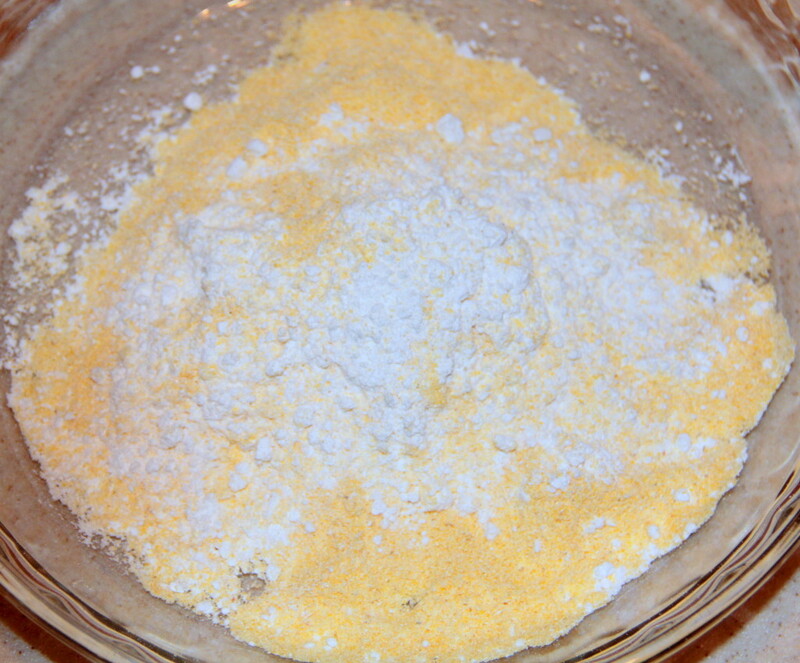 Then mix cornmeal, flour, cayenne pepper, salt and black pepper in a shallow dish, such as a pie plate. Add buttermilk to another shallow dish and place the dishes close to the stove in an assembly line. I think it’s best to use a cast iron skillet for this recipe (but then, I think it’s best to use a cast iron skillet for almost everything) so add some oil or Crisco to a cast iron skillet and heat on medium-high. While the oil is heating, dip the tomato slices in the buttermilk and then dredge in the cornmeal. Carefully place the tomato slices in the skillet, taking care not to crowd them. The tomatoes will only need a couple of minutes on each side, just enough to get them nicely browned. This will soften them slightly, but you don’t want to cook them long enough to get them mushy. Mushy = icky. Drain on a paper towel and sprinkle with additional salt. You can add a rémoulade or some other sauce, even a chutney, and serve immediately. A crunchy, tangy, savory appetizer for a special occasion or every day dinner. Mix cornmeal, flour, cayenne pepper, salt and black pepper in a shallow dish. Pour buttermilk into another shallow dish. Heat oil on medium-high in a large cast iron skillet. Dip tomato slices in buttermilk and then dredge in cornmeal. Place tomato slices in hot oil and fry about 2 minutes per side, until lightly browned. 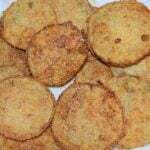 I love fried green tomatoes and will definitely try your recipe. I have recently heard about fried green tomato BLT sandwiches. Wonder if you’ve tried them. That sure sounds good to me. 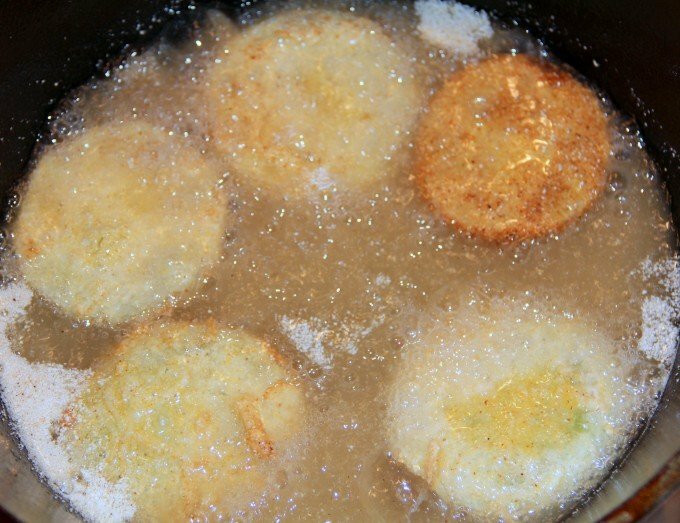 Fried Green Tomatoes are at the top of my list as my favorite!! !